This is going to be a fun event where we'll be soliciting feedback on our bargaining timeline. Your union needs your input as we move toward bargaining in 2018. Your whole family is welcome to attend! Childcare will be available. Please email GEU in advance if your child(ren) will be attending so we can plan accordingly. Enter a drawing for a chance to win dental insurance, or an offset for dependent care! 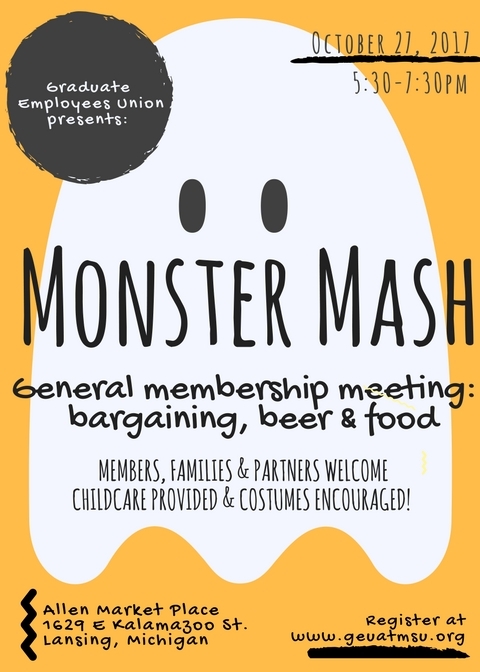 Families and Partners of members are welcome, and food and drinks will be provided, as well childcare!